Taking a road trip in a diesel pusher RV is a whole new experience in travel excellence. If you are an experienced RV owner you know that the recreational vehicles of today-especially the diesel pushers-are better built and more like home than ever before. You can cook, bathe, relax, and sleep in a “real” bed all while in the comfort of your home on wheels. Whether you are a family looking for a new way to spend your long weekends at the beach, or a couple heading into retirement with places to go and people to see, you can do it all in style in a diesel pusher RV. A diesel pusher is the largest and most powerful recreational vehicle on the market. Built on a chassis that is similar to a bus, but customized for an RV, it can tow and carry virtually everything you will need while you are out on the road. Some models of diesel pusher RV can tow more than 10,000 pounds. That’s a lot of boat! Not only is the engine more powerful but it is also more efficient, so you may not use as much fuel as you are imagining you might. Today’s RVs are designed to keep you safe as well as comfortable for those long road trips or weekends away. 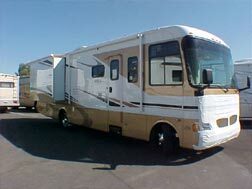 For instance, the Holiday Rambler diesel pusher RV has a different custom chassis for each model that it offers. This provides support for all of the features in your specific floor plan. It has an adjustable rear-view camera with audio option so that not only can you see whatever you are towing, you will also be able to see and hear the surroundings and exercise extra caution when changing lanes or backing up in your diesel pusher RV. As for comfort, you can get entertainment options that are state-of-the art technology for your listening and viewing pleasure. There are multiple floor plans for each diesel pusher RV with different seating, dining, and sleeping options depending on your lifestyle. You can get a kitchen equipped with full-size appliances and beautiful cabinetry to make dining “in” an appealing choice. The flooring comes in a variety of types from linoleum to ceramic tile and plush carpeting as well. Depending on your tastes and your budget, you can make your diesel pusher RV just as inviting as your home. At PedataRVCenter.com you will find information on all of the different types of recreational vehicles along with listings for new and pre-owned RVs from all of the industry leaders. As an RV wholesaler, they can offer lower prices on a brand new diesel pusher RV than any other dealer without sacrificing quality or customer service and satisfaction. You can also find information on financing using loan products that are designed specifically to save the RV buyer money and to get them the best possible loan for their needs. 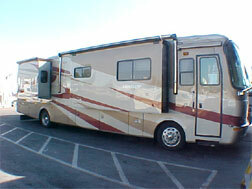 You can be pre-approved for your diesel pusher RV loan before you even talk to a dealer. This will save you time and money when you are shopping for your RV. You can even shop for and buy your new diesel pusher online and have it delivered to your home if you would like. So, if you are ready to make the move and live the “high life” while you are camping or on the road, you need to check out the diesel pushers of today. One look inside and you will be sold on the comfort and convenience that these fine vehicles have to offer you and your family and friends. You know that you deserve a good and comfortable life even when you are traveling. Take a look at the high life. >> Shop Diesel Pusher RVs Online!